From a terminal window, change into the local directory where you want to clone your repository. Branch 'my-updates' set up to track remote branch 'my-updates' from 'origin'. Your branch is up-to-date with 'origin/my-updates'. $ git commit -m "Answered questions"
E nter git push origin <branch_name> to push the changes to your branch on Bitbucket, and enter your password to finish pushing changes. Writing objects: 100% (3/3), 350 bytes | 350.00 KiB/s, done. 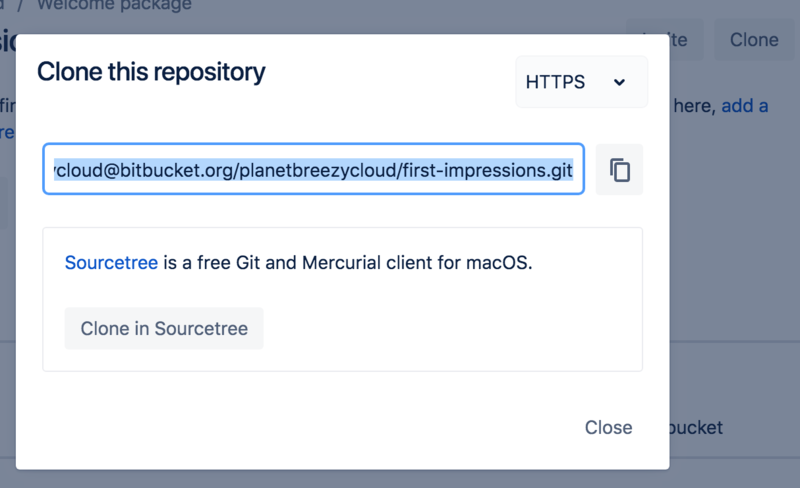 From Bitbucket, click the Source page of your repository. You should see both branches in the dropdown. Any other commits you make to my-updates will also appear on that branch. From the Clone New window, update the Destination Path to <path_to_repo_directory>/first-impressions/. 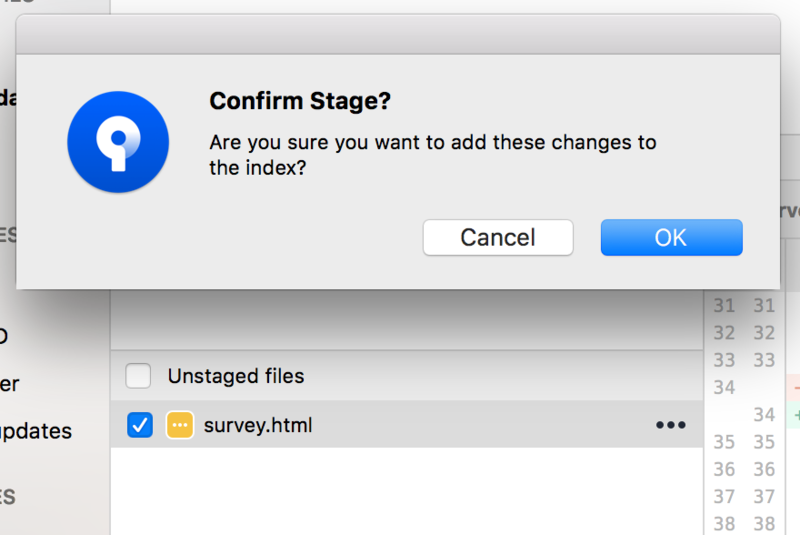 From the Unstaged files list, place a checkmark next to the survey.html file (and any other files with uncommitted changes). From a terminal window, change into the repository directory where you want to clone your repository. From your local repository, create a branch with hg branch and the name you want to give the branch. If you aren't sure what to name your branch, go with something like my-updates. Nothing changes in the working directory yet. The branch command tells Mercurial the branch name to use with your next commit. If you enter the hg branches command to see all your branches, you'll see you still only have the default branch. Display the status of the repository with git status . You should the survey.html file you modified. If you added or modified other files, you'll see those as well. 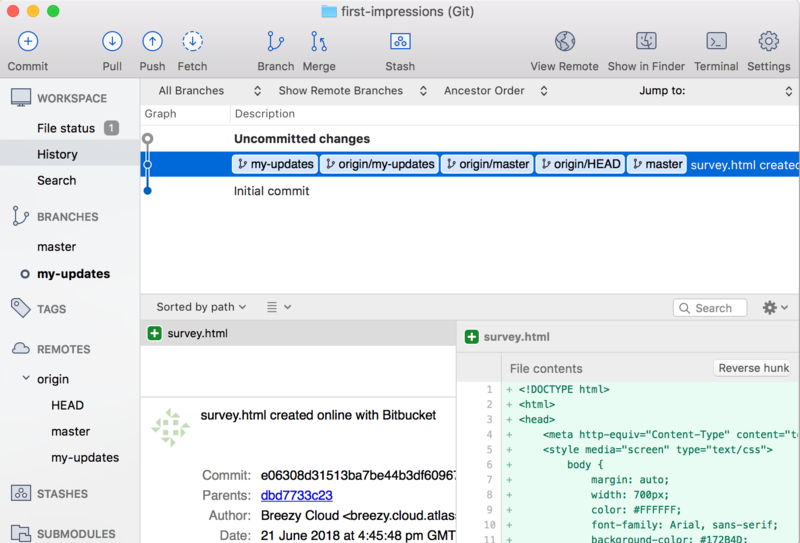 $ hg commit -m "Answered questions"
Push the feature branch back to Bitbucket. To do so, you'll need to do a force push with hg push -f.